When people think of classic console games, chances are that one of the first things to come to mind is Atari. Founded in 1972, Atari has created well over two-hundred IPs that range from Pong to Adventure to Space Invaders and everything in-between. At GDC 2018, I had an opportunity to interview the CEO of Atari, Fred Chesnais. During our time together, we talked about his personal history with the company, the Atari VCS, Atari entering into the blockchain market, and more. You can visit Atari on their website, like them on Facebook, tweet at them on Twitter, and subscribe to them on YouTube. Be sure to check them out! Fred Chesnais [Atari CEO]: I am Fred Chesnais, the CEO of Atari. OR: Atari went through bankruptcy in 2013, you bought up a lot of shares of the company, and took over as CEO [when they emerged from bankruptcy]. You were an employee of Atari in the early twenty-first century. What brought you back to this classic company? FC: First and foremost, the love of the brand. I was part of the team that bought the Atari brand from Hasbro in 2000. And so I’ve been with the brand for quite some time. And we left in 2007 – a hedge fund took over. We went on our own, and after five years – during these five years- I made games myself. I created fitness games with JEANMICHEL FITNESS, I also invested in a lot of zombie games. But after five years, the hedge fund called me back and said ‘we want out.’ So for me, it was very natural to try to clean it up, just to try to bring it to life. I also saw – if you want something broader than video games- the brand is forty years ago, and so it has appeal for the older generation and it has appeal for the younger generation. So it’s really part of history. So the multimedia aspect of it – the possibility to do casino games, to do TV shows – the console wasn’t even part of my plan. [Or] even blockchain. But to be able to have a multimedia platform that means tech, revolution in entertainment, for me was very important. So that was why I came back. OR: Just yesterday, you announced that you were coming out with the Atari VCS. What is that, exactly? FC: So the Atari VCS – the name is clearly a reference to the past. It was the very first name of the Atari console, the VCS, as well. So here, of course, we’re trying to do something to fit a hole that today [is] not served by the products – we’re trying to have a box where basically, you can play the best of your PC experience on your TV. It’s much broader than games. It works on Linux. It’s games, music – basically everything you have on your computer. [Rather], most of the things on your computer because, of course, there are some limitations. But most of the things you have on your computer you should be able to enjoy on your TV. That’s really the goal. 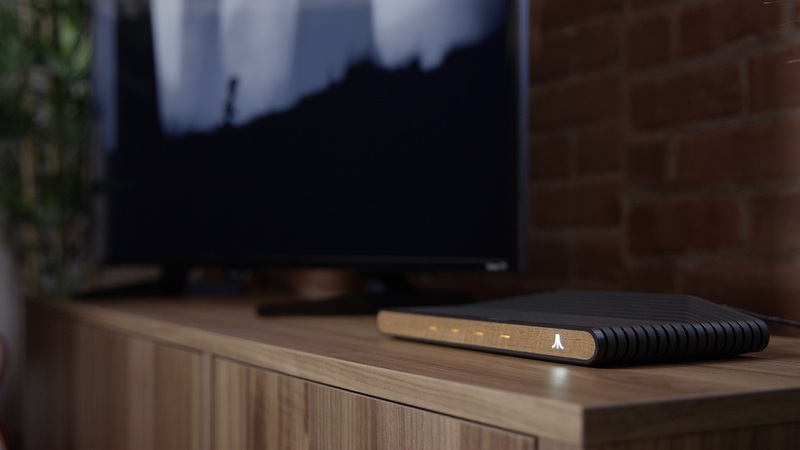 The Atari VCS is Atari’s latest initiative that brings a Linux-based system to the living room. (Image courtesy of Atari). OR: Will this replace the Atari Flashback 8 Gold that came out last year? FC: So it’s different. The Atari Flashback Gold is a plug-and-play device. It’s not connected. You buy it, you can enjoy more than one-hundred games. We’ve sold more than three-hundred thousand units of this console every year with our partner. Here, you have basically a stream box. Something that is connected – something that is connected to the internet. You can find stuff on the internet that you can play on your TV. It’s connected, it’s something that is really different from a plug-and-play device. It’s much broader than games. It’s something that’s unique, it’s something that has an industrial design. [It is] something that is new, very appealing, very well done. But it’s definitely much, much more than a plug-and-play device. OR: You mentioned streaming. Are we talking about bringing things like Netflix, Amazon, and Hulu Prime [to the device]? FC: Yeah, it’s bringing the best of your PC experience to the TV. So yes. OR: In the press release, it mentioned Atari games as well. Are we including all the way up to the Atari Jaguar in this? FC: It’s basically- as long as it works on Linux, you can have it. So the most important thing I would say when it comes to content, we really have [a] plan to open the vault of games to indie developers and big developers that would like to create new content for the box. Again, it’s really an initiative. We really think that we can bring something really interesting forty years after the [original Atari VCS]. So we decided to try to do it right, to do our best to do it right. That’s why I did not hesitate in December to abort the countdown, because it was not really ‘green’. So we can always wait another four months, because we’ve waited forty years. So it’s okay. The Atari VCS is designed to fit in alongside your home entertainment system. (Image courtesy of Atari). OR: Why did you choose to go with a Linux-based system instead of a modified Android system or even a custom one? FC: We thought that Linux would provide more flexibility. But it’s a choice we made – it has advantages, you can’t cover it all. So it’s a choice you make. 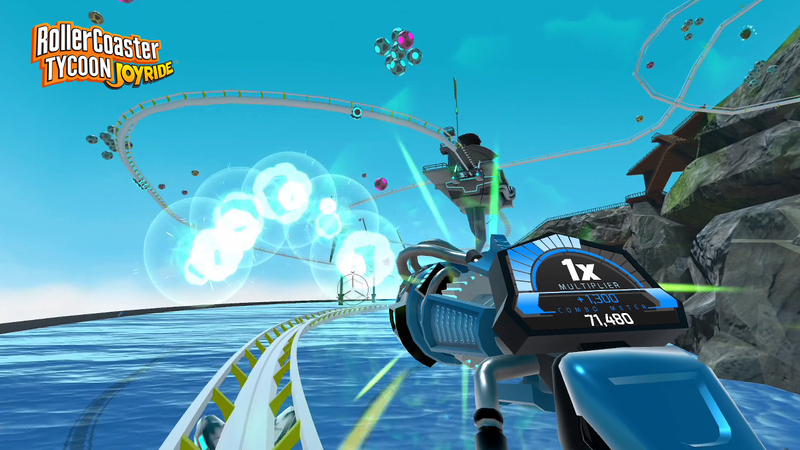 OR: Atari is also entering the realm of VR with RollerCoaster Tycoon Joyride. [OR Note: You can read my hands-on impression of RollerCoaster Tycoon Joyride here.] And this is fulfilling the promise of the Atari Jaguar to have VR way back in 1993. FC: Yes. It just shows that the team is really passionate about the brand. Between the DNA in the brand and in our DNA to try to stay true to the brand, I feel like we are trying to stay focused on limited things. I’ve been offered ‘Hey, let’s do a TV set!’, ‘Let’s do a phone!’, ‘Let’s do an amusement park!’. So we try to limit our initiatives to what we know the best and what we can control. So games, casino games, the VCS, some VR experiences. So it just shows the dedication we have. Atari is entering into the realm of VR with RollerCoaster Tycoon Joyride. (Image courtesy of Atari). OR: Following up on that – you’ve partnered up with RZA to produce a music album based on Atari to the Atari Casino and gambling with real money. How does Atari determine what opportunities to seize and make for themselves? What do you look for in particular? FC: We try to find business – we have identified business lines that drive the same markets and communities. Games [and] casino games are, for me, very natural. [And] game shows for TV. And then you really start to branch out and start to reveal the true sheer power of the brand in the multimedia space. For instance, we’ve granted some licenses and options for feature films and some TV series. So we’ve got games, casino games, games for TV shows – and after that, we’ll see. We’re testing. The VCS is a big one. The [Speakerhat] is a big one. We have to be nerdy – but as long as we stay true to the DNA, which as I’ve said – is revolution taken entertainment- we should be in [a] good position. OR: About a month ago, Atari announced that they were launching a cryptocurrency called ‘Atari Token’. Why enter into the cryptocurrency and the blockchain market? FC: The cryptocurrency is a consequence of the decision to enter the blockchain market. We believe that with our platform, we offer a way to offer a lot of entertainment and business initiatives to a lot of people. So the most important decision is for us to be part of the creation of a big platform that is blockchain. And we allow users, creators -every[one] involved in the space- to upload assets in games, music, video, anything that is digital entertainment [and then] to buy them or swap them at an exchange rate. So that’s the first and foremost – this is the tech, this is the platform. And for that platform to be used, we need a token. So the token is more the consequence of the bigger decision, which is to create a platform. OR: Will this ‘Atari Token’ and blockchain play a role with the Atari Casino? FC: So there is something for the casino – we are doing two different things. One, we are, at this moment – so it’s something you can’t see from the U.S. and [is] Europe only due to regulations- we are integrating cryptocurrencies in our platform. Meaning you should be able to bet using Bitcoin, Bitcoin cash, whatever. And then once the Atari Platform is live, we’ll work on another token for crypto-casinos. OR: How is the development of the Atari casino going? FC: The games are already out there. We are working on additional initiatives, but the games are already out there. It’s something that I wanted to do just to show the power of the brand as well. And here, [we are] targeting the older audience of Atari -you know, people born or raised with Atari. [This is] because casinos are a big market, especially mobile casinos – that’s pretty important in Europe. We’re trying to do things with a long-term view, so whatever it is, we’re not trying to do things for next quarter. It’s important for us to take a long-term view to keep building, and that’s what we’re doing with the casinos. Atari has made a stylish speakerhat, a hat that has Bluetooth speakers inside of it, in partnership with Blade Runner 2049. (Image owned by Atari). 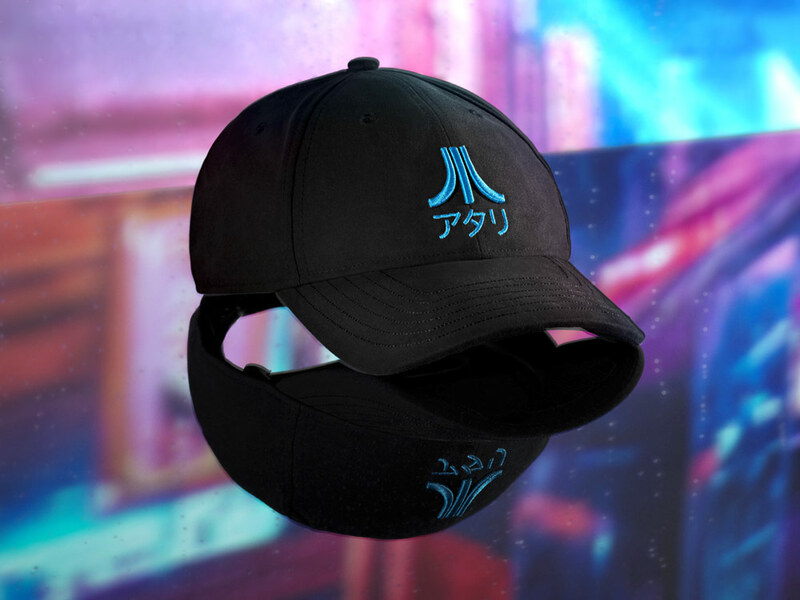 OR: Recently, [you] put out a limited-edition Atari Speakerhat in conjunction with Blade Runner 2049 as part of the Atari Live. First of all, what is a speakerhat and how did the idea for it come about? FC: So, let me start with the idea. Atari doesn’t just mean software, it also means hardware. Like the Atari 2600, the Lynx, the Jaguar. It’s more than just software, it’s also hardware. In hardware, we’ve been doing T-shirts [and] we’ve been doing hats for a long time. But I wanted to try something to find something unique with revolution[ary] tech and entertainment in wearables. I happened to find to this company called Audiowear [Technology Corporation] where they were working on the tech. [It] basically is a hat with Bluetooth connected speakers embedded in the brim. So you can see the hats, and they were [reviewed] very, very well – we got some reviews here. So it’s really getting back to some very simple notions: Atari means software but also hardware [and] revolution in tech and entertainment. All of that – I did not come back just to do T-shirts and hats. There are people much more sophisticated than me doing this, and they are organized. So we have to be different and this is also why we are waking up every morning. I’m not going to do the obvious just to try to do something – ‘Okay, let’s do this. A lot of people have done that already.’ It’s not really interesting for me. It’s true that I can afford it because I have the brand. So if it was just not about the brand, you would not have the same appeal, you would not have the same attention from other people. So it’s good to have the brand at the center. But I acknowledge that this is a responsibility. Meaning there’s a community out there, so we just want to do the right thing. “Because to make a good game, you first need the team, the passion, the moment”. OR: So you mentioned TV shows and movies. Can you tell me a little more about that? FC: Yes. So we have created a TV show that aired in Europe, which is based on Codebreaker – the game created by Steve Jobs, because he was an employee of Atari. So that was pretty awesome. So it’s one thing. But otherwise, it’s back to the multimedia power of the brand. We have today a portfolio of more than two-hundred IPs. For most of them, they could be used for scripted TV series, an unscripted TV series, a feature film. So yes, we have announced a deal to create with Asteroids. If you look at just the recent past, we were in Blade Runner, we were in Pixels, we’re in the [now released] Spielberg movie Ready Player One. So it just again shows the multimedia appeal of the brand. OR: You have over two-hundred-ish IPs. How do you pick which ones to bring out into the modern age – [for example], why choose Tempest? FC: Because to make a good game, you first need the team, the passion, the moment – because you have certain games -like zombie games that work well, they will never disappear. Like [match-three] games and fighting games that combine the components [of each]. Five years ago, no one would play those. Today, it’s hot. So, we discuss and if we all think it’s going to make sense, we try to put together the resources and we bring it forward. So Tempest is because we had the relationship with Jeff Minter – we have something quite awesome with him. And he had that game, so it was a no-brainer [for us]. So you can see we’re working on a simulation game for Transit City, which we’ve started to soft-launch. Because we have the engine, we have the expertise, we have the passion. Ten, fifteen years ago, we had six racing games, [including] Driver, Test Drive, World Rally, Grand Prix, Home Run Derby – we had the teams, the passion for it. Now the team is gone, and I sold Test Drive. So yeah, it is what it is. It’s really a question of [that] we follow the market and what may work today may not work tomorrow, necessarily. We try to adapt. 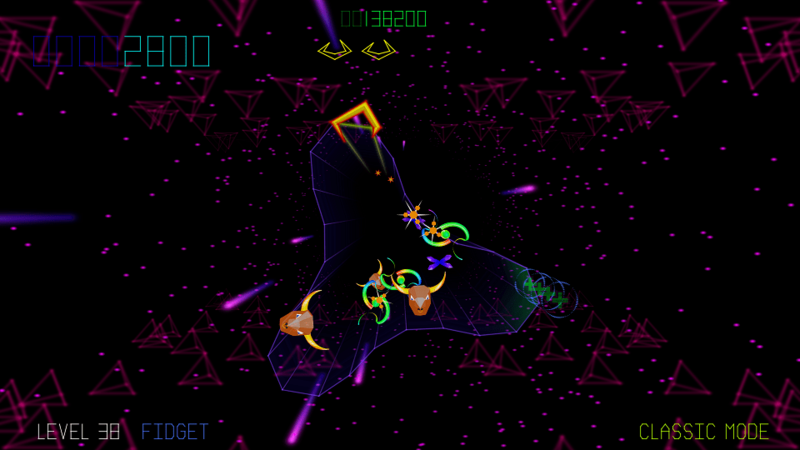 One of the upcoming titles from Atari is Tempest 4000. (Image courtesy of Atari). OR: So what lies in the future for Atari past what you’ve announced so far? FC: For the moment, we are going to keep delivering on the business lines that we have selected. But at the same time, what is very interesting for me is to keep trying other initiatives. Because we’re cautious and because the sky is almost the limit, and I only deal with the realities – we try first to establish partnerships and licensing arrangements. And after one or two years, when we think ‘Okay, we understand’, [and] it makes sense to integrate the partner with us, then we will do it. It’s not like we have a rush to do stuff – the company is no [longer] on a diet. So we just have to be mindful of that and mindful that we have fiscal years. What is your favorite Atari IP? 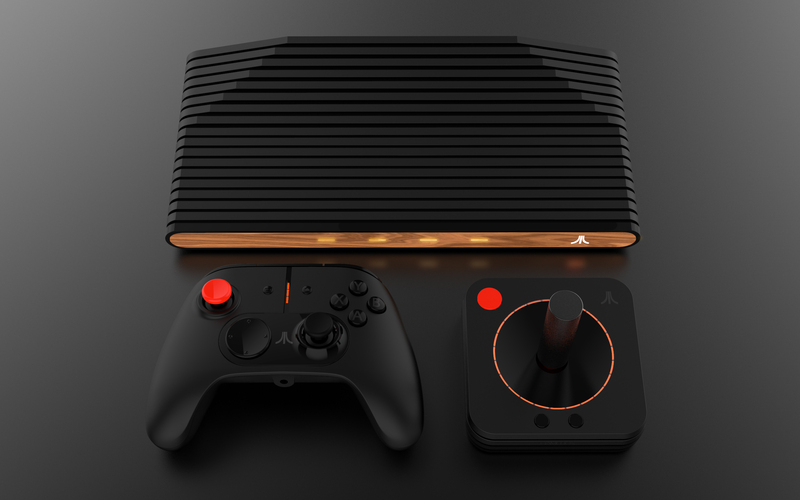 Are you excited for the Atari VCS?